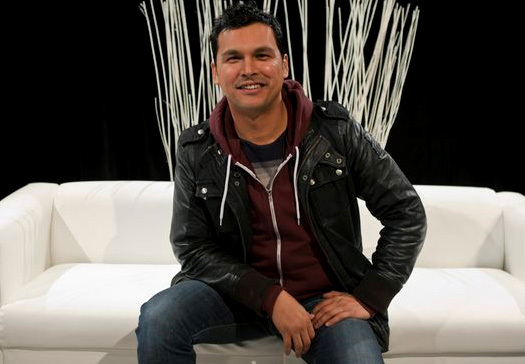 "The Adam Beach Film Institute envisions Indigenous People working within the Media, Film and Television industry...and healing with every story told." If you are between 18-30 years of age! We are accepting applications for our 2019 Winter Intake of our Skills Link Program. We are Committed to providing exciting career opportunities in the media & film industry. I am so proud of all Adam Beach Film Institute Alumni. I am honoured to have the privilege of working with you. I sincerely hope you apply for this momentous opportunity. Thank you! All Films Created by our ABFI Alumni will be kept on our “Student Films” page of our website. We are pleased to announce that "Forever Young" was an award winner in the WorldFest-Houston International Film & Video Festival! Congratulations!! Apply Today for your spot in our ABFI Skills Link Program! Apply at or download & drop off your application at CAHRD at 304-181 Higgins Avenue. Our Next Intake is January 14, 2019. Deadline: December 21, 2018. Get paid to train within the film industry on your very own film project. ABFI Board of Directors welcomes you to the Adam Beach Film Institute website. We encourage you to explore our site. We are also available on Twitter & Facebook. Thank you for your interest in the Adam Beach Film Institute. "The Adam Beach Film Institute provides a clear path to Indigenous Youth seeking entry into the Media arts and Film Training Industry. Our Teachings are driven and guided by the traditions of Indigenous storytelling." Adam Beach Film Institute is excited to announce that the Skills Link Project will be re-launched to begin September 1st, 2018 and will have four back-to-back intake classes for 2018-2019. Our Spring & Summer intakes originally scheduled has been consolidated into this new time frame! Current applications we have received will be re-scheduled to begin this Fall. The features of this opportunities remain unchanged. It is still a paid training program; where students are paid a living allowance while they train, work and learn to make films in the TV & Film Industry. Instructed by industry professionals, you can learn the essential skills and build your own network of contacts to launch your own career in the movie business. Posters and details for applying for the program will be released soon! Please keep checking our website & Social Media sites. Meegwetch! Thank you! !